Feel like you haven’t skied enough to do the 50 km or race the 20 km? You’ve still got a month to train and you can change your event up to 1/2 hour before the start! 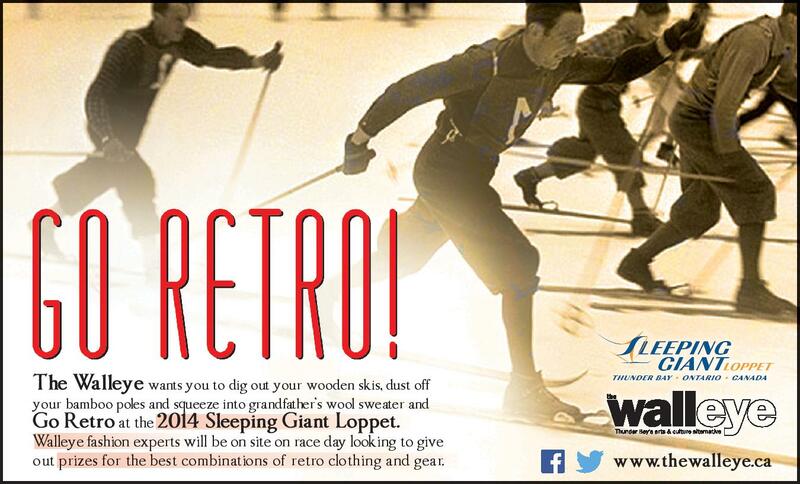 Maybe this is the year to try the laid back 35km Tour or relax, dig out the wood skis, bamboo poles, wool sweater and try to win the Walleye’s Retro Fashion award! New for 2014, our no worries withdrawal fee: if for ANY reason you can’t make it on March 1st, let us know by Friday February 21st and we’ll apply your entry fee to the 2015 Loppet. Click here to register. See you on the GIANT, March 1st, 2014!